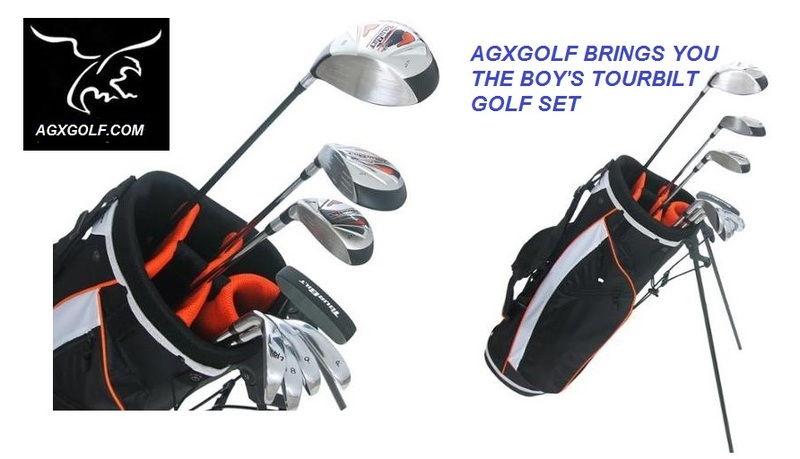 NEW POWERBILT TOURBILT 460 (ADVANCED VELOCITY) BOY'S EDITION: GOLF CLUB SET with STAND BAG & PUTTER: AVAILABLE IN BOY'S TWEEN AND TEEN LENGTHS: FEATURES OVER SIZED FORGED GRAPHITE SHAFT DRIVER, SOLE WEIGHTED (CALLAWAY X-TOUR STYLE) STAINLESS STEEL SHAFT IRONS: FREE HEAD COVERS FOR THE DRIVER & 3 WOOD!! Sets include One year Manufacturers WARRANTY!! BAM.!!! 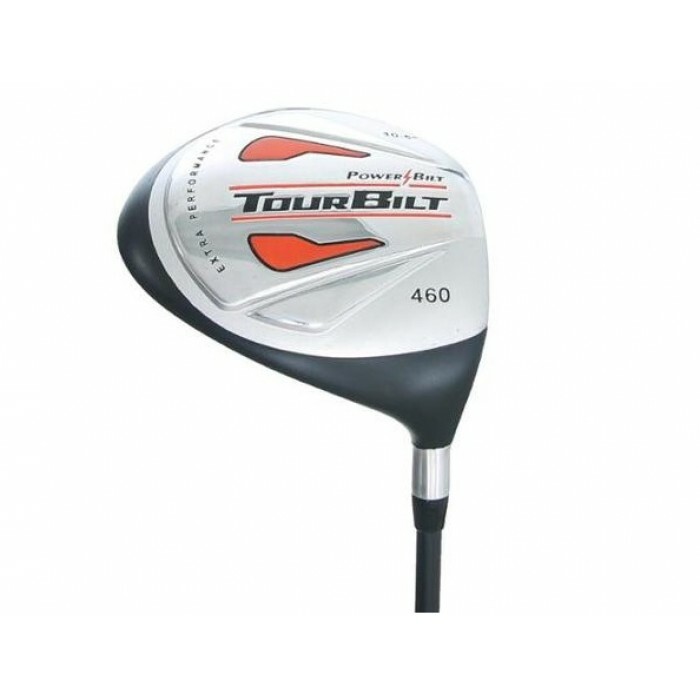 THE SAME COMPANY THAT BRINGS THE POWERBILT GOLF CLUBS TO THE PGA PRO'S HAS DESIGNED THE TOURBILT 460 BOYS EDITION..! (and the best part is the AFFORDABLE price)!! THE SUGGESTED RETAIL PRICE FOR THIS SET IS $259.95... YOUR PRICE IS MUCH BETTER.....FEEDBACK on these sets is MAX! 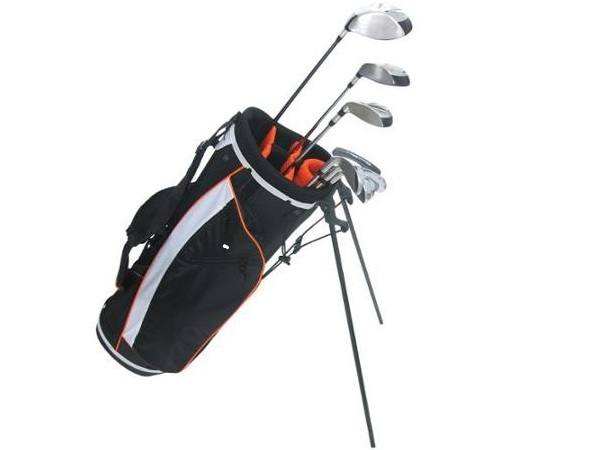 This set of Golf Clubs from POWERBILT GOLF is LOADED with the latest technology!! 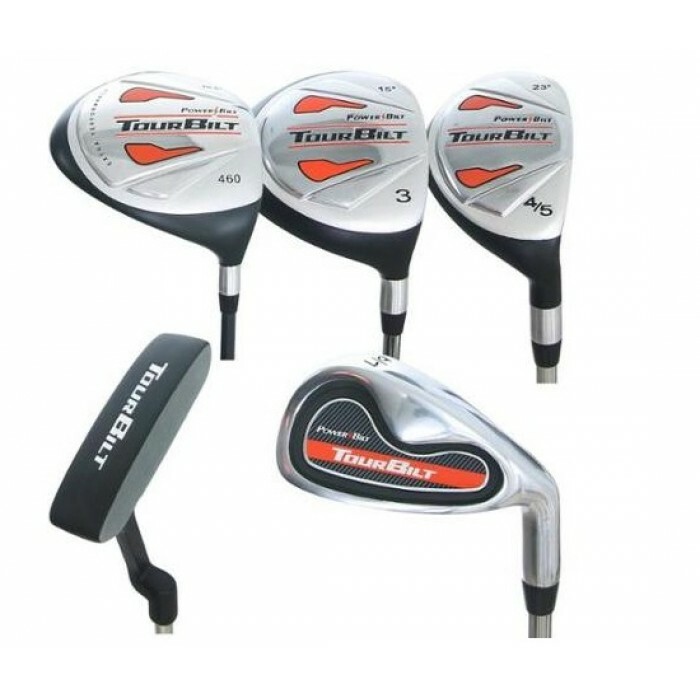 #4/5 HYBRID IRON (23*) combines the power of a wood with the accuracy of an iron. WELL CRAFTED TOURBILT (CALLAWAY X-TOUR STYLE) IRONS are FULL TIME SHOT MAKERS! Sharp design with superb craftsmanship and the latest technology, your going to RAVE on the styling of these clubs!! 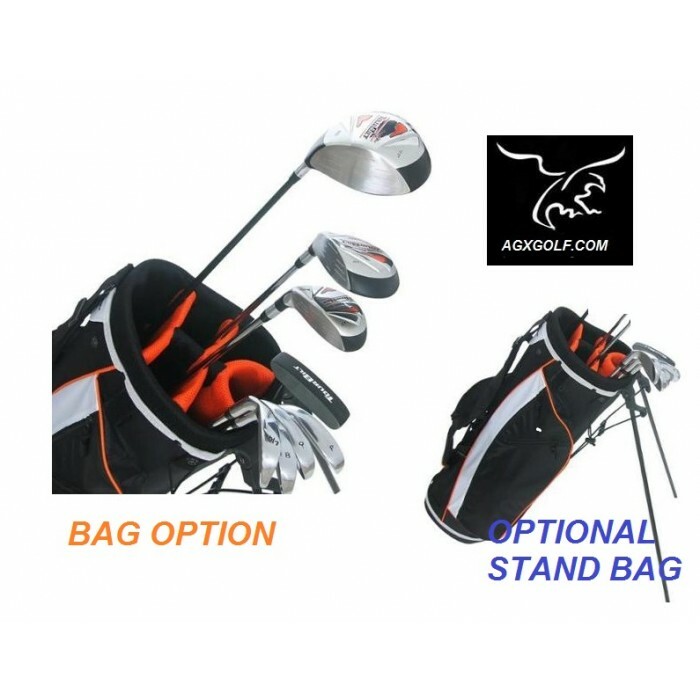 FREE HEAD COVERS FOR THE DRIVER & 3 WOOD & HYBRID IRON! 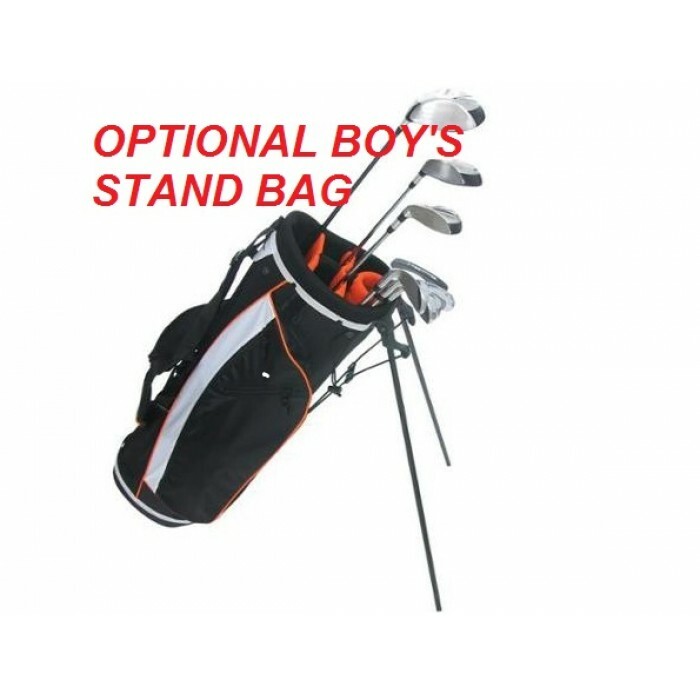 OPTIONAL STAND BAG: This is a terrific value and the best for FIT and QUALITY for the NEW GOLF SET! BOY'S (TALL): For HEIGHTS of 5' 6" to 6' 1"
STATED SHIPPING for the contiguous U.S.A. only. Other destinations: PLEASE CONTACT US; Shipping will be billed at our actual shipping cost. 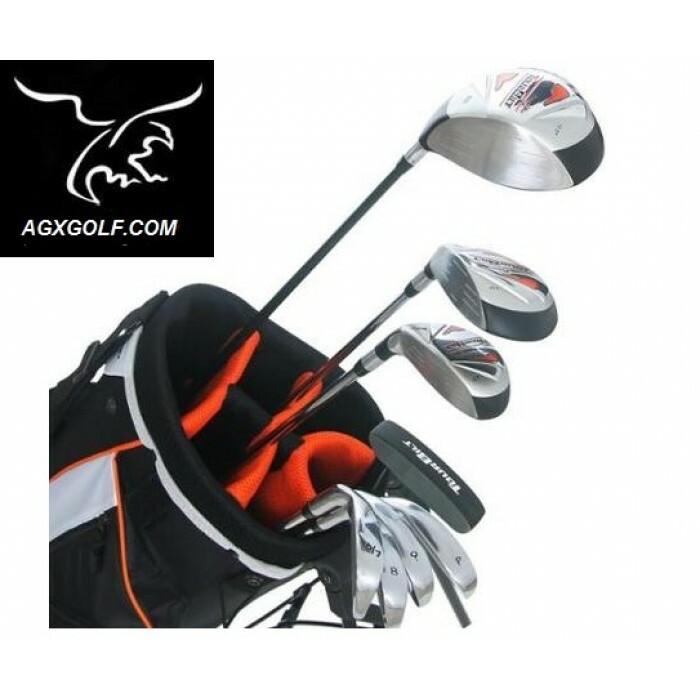 AMERICAN GOLF EXCHANGE is headquartered in Highland Michigan! We know you you enjoy playing these fine golf clubs as much as we enjoy crafting them! We GUARANTEE that you will be SATISFIED! !